A U.S. Marshals task force officer was fatally shot while trying to serve an arrest warrant at a Rockford hotel Thursday morning and the suspect was apprehended after he fled more than 100 miles south, authorities said. Trina Orlando reports. A U.S. 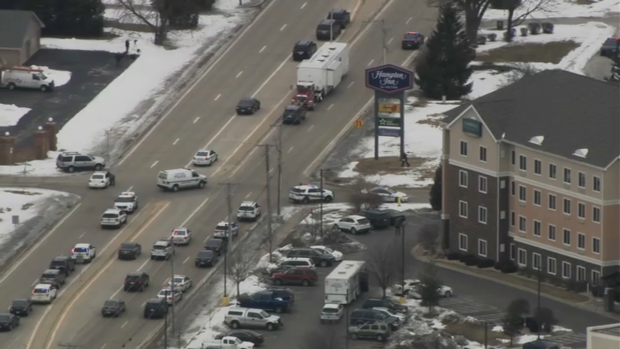 Marshals task force officer was fatally shot while trying to serve an arrest warrant at a Rockford hotel Thursday morning and the suspect was apprehended after he fled more than 100 miles south, authorities said. Phil Rogers reports.